On 18 November, Yemen’s Interior Minister Abdul-Qader Qahtan met in Sanaa with Mrs Taghreed Jaber, PRI’s Regional Director in the Middle East and North Africa (MENA). The discussion focused on cooperation and coordination between the Interior Ministry and PRI, particularly with regard to establishing specialised juvenile centres in the governorates of Aden, Taiz, Hadramout, Ibb, and Hodeida. The Interior Minister referred to the Ministry’s efforts in the rehabilitation and construction of prisons and reform schools in accordance with the international standards, praising PRI’s cooperation in this regard. 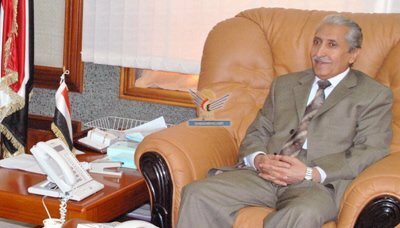 Taghreed Jaber praised the level that a lot of reform schools and prisons have reached in Yemen, and the efforts being made to develop them according to required international standards, stressing that PRI will cooperate with the Interior Ministry in this area.